First of all, the color scheme you choose for your nurseries needs to consist of a soft palette. Secondly, the actual colors need to be gender neutral. Of course if you already know the gender of your baby you can go for specific colors as well, but soft, neutral colors are always recommended as first choice. You can take your pick from pastels – powder blue, baby pink, mint green, lavender, etc. Babies come with a lot of literal baggage. They may be tiny, but the amount of stuff you’ll need to store in the nursery can be surprising. Therefore, you must have a spacious storage unit within the room to keep away all the toys, powder milk, packets of diapers, clothes, binkies and other small accessories out of sight. Only then can you maintain a clean room. The baby cot is, of course, the piece de resistance of a nursery. It doesn’t have to be very elaborate in design. Even a simple one can be used to enhance the beauty of the room while being functional. Make sure to keep lots of storage boxes and toys beside this cot, so you can easily reach all essentials while taking care of the baby. Of course, you’ll need to design a sitting nook in the bursary for yourself. It can comprise of a single, wingback arm chair where you can tuck in with the baby while trying to rock them to sleep. 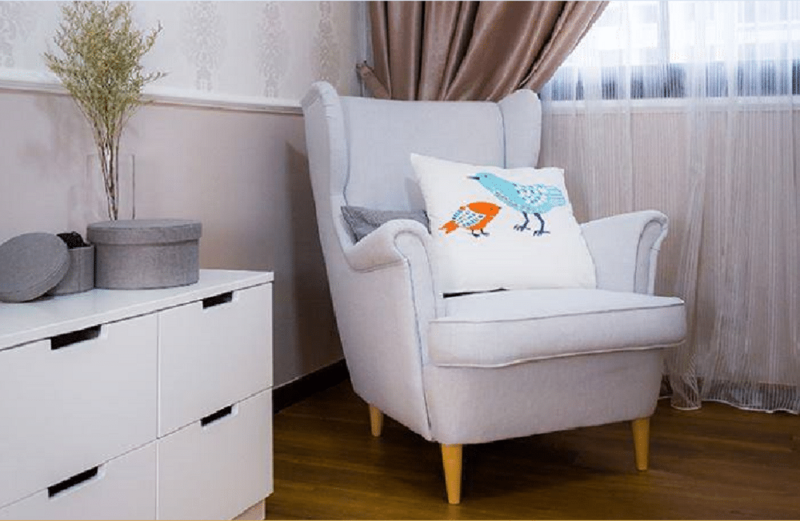 Alternatively, you can also opt for an old school rocking chair in this nook, so both you can the baby can relax while swaying back and forth on it. Baby nurseries need to be accessorized in a way that complements their functionality. 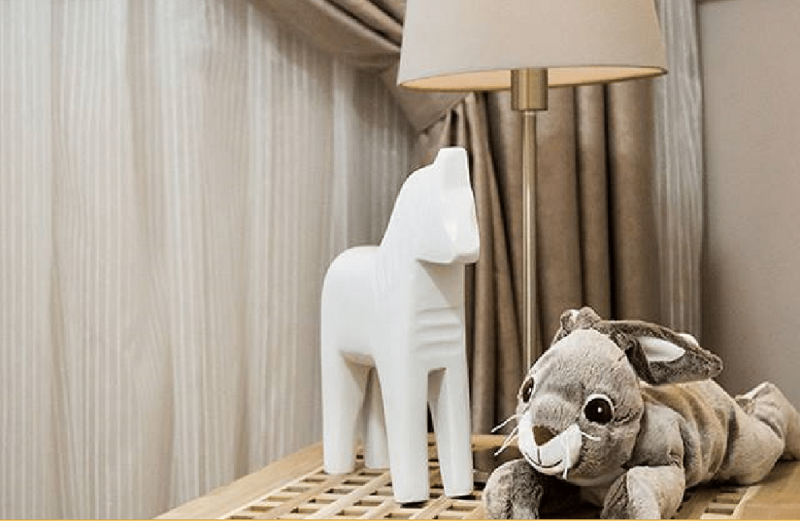 You cannot have statement worthy artwork hung as the centerpiece, but you can decorate with cute plushies, toys and other baby-proof accessories!